Gabriel Clarke is an award-winning journalist and filmmaker; most recently Writer/Director on Steve McQueen: The Man & Le Mans which premiered at Cannes 2015. As ITV’S senior reporter, Gabriel has been named the RTS Sports News Reporter of the Year three times and has won various RTS awards for creative and feature production, whilst developing his documentary portfolio. In 2008 Clarke wrote and co-directed Clough, nominated for the Grierson Documentary Prize. He performed the same role in 2010 on the critically acclaimed documentary When Playboys Ruled The World, and in 2011's The Fight Of Their Lives (BAFTA single documentary nomination). Between 2012 and 2014 Gabriel developed the Sports Life Stories series, awarded Sports Journalists Association Programme of the Year in 2014. Co-founder and Chief Executive of Noah Media Group, John spent 13 years at ITV Sport in the UK, working his way up from runner to Creative Director, before establishing his own company in 2009. He has won several awards for Titles, Edited sequences and Live Directing. He was a studio director on Channel 4’s BAFTA winning coverage of the Paralympics in 2012 and is an experienced Studio and Live sport Director. He has been BAFTA nominated a further three times. He established a successful Promotional Trailers team that has delivered global content during the last two FIFA World Cups, the UEFA European Championships and the summer and winter Olympic Games. John was the Producer/Director on Steve McQueen: The Man & Le Mans – a feature documentary that was one of only two British films to be an official selection for the Cannes Film Festival in 2015. He has performed this role on several acclaimed television documentaries in the UK. The last of these was The Fight of their Lives, which was BAFTA nominated in 2012 in the single documentary category. John also produced and directed the Grierson nominated Clough (2009). He has won four RTS Awards, three Sportel Golden Podium Awards and a British Comedy Award as Series Director on acclaimed show The Last Leg on Channel 4. Torquil joined Sunset+Vine in 2006 and during his four years with the company rose from runner to Programme Editor, delivering content for all of the UK’s major broadcasters. After setting up his own company in 2010 Torquil used the world’s biggest sporting broadcasts - including the FIFA World Cup and Olympic Games - to showcase his skills as one of the UK’s leading creative directors. In the build-up to the 2014 World Cup, he spent 18 months in Brazil overseeing a major project on behalf of the Host Broadcast Services/ FIFA. In 2018, Torquil co-directed and produced Bobby Robson: More Than A Manager, the definitive film of a sporting life like no other, starring the greats of world football. Pete joined ITV Sport in 2005, rising from researcher to programme editor in his six years at the company, and regularly delivered key content to multi-million audiences, including material for FIFA World Cup, UEFA Champions League and IRB Rugby World Cup Finals. Pete moved to Sunset + Vine in 2011, series producing NFL and Football League shows for the BBC, Channel 4 and Channel 5, as well as helping to launch and establish BT Sport’s football and rugby coverage. In 2012 Pete devised The Last Leg, alongside comedian Adam Hills - both the groundbreaking Paralympic show and the subsequent entertainment series - winning Royal Television Society, Broadcasting Press Guild and Creative Diversity Network awards. He was one of five programme editors responsible for the 2012 BAFTA award winning Paralympic coverage on Channel 4, as well as overseeing the pre-tournament athlete filming that featured during the Games. Pete has documentary experience, having directed Sounds of the Summer, the Official Film of Euro 2016, and has demonstrated his versatility in leading production of the Gfinity Elite Series - a groundbreaking esports tournament broadcast on BBC Three and BT Sport in 2017. Kim started his career at IMG media, where he helped build and go on to lead the design and DVD Departments. Designing and Animating title sequences for Trans World Sport, Futbol Mundial to name a few. He was freelance for 9 years prior to joining Noah in 2016, where he developed enormous experience working for the world's biggest sporting brands and broadcasters (including the Premier League, UEFA, FIFA, HBS, OBS, World Rugby, European Tour Golf and ITV Sport). Notable projects during this period include; ITV Sports Euro 2016 titles and Graphics, BT Sports Champions League Launch & Goals Show, ITV’s Sports Mavericks, Steve McQueen: The Man & Le Mans and Rugby World Cup 2015 Match Graphics. Since joining Noah he designed and oversaw the production of the Match of the Day titles and is currently working on several very high profile international projects. He has also worked on numerous other award winning productions, including IMG’s ‘In Colour’ series of documentaries (BAFTA), 2012 & 2016 Paralympics for Channel 4 (BAFTA & RTS), The Fight of Their Lives (BAFTA Nominated), Clough (Grierson Nominated). Simon moved into Sport Production over a decade ago after a brief flirtation with Virtual Reality GFX on BBC Sport and Channel 4 events, and began quickly climbing the ladder within the industry. He swiftly established himself as the main VT Producer for Setanta Sports on their Premier League & FA Cup football coverage directing the likes of Steven Berkoff, Phil Daniels, Alan Ford, Colin Salmon, Danny Dyer and Magician Dynamo along the way. Three years later he followed the Premier League rights to IMG, producing live FA Cup, England U21, German, Italian, and French football as well as live magazine football chat shows both in studio and OB’s for ESPN. Simon also worked on many major tournaments around the world from the FIFA World Cup in South Africa to the Athletics World Championships in Helsinki. Most recently Simon was a Senior Producer in Sunset + Vine’s BT Sport football department producing live Premier League & FA Cup football and Series Producing UEFA Europa League football. He was also responsible for devising and Series Producing BT Sport’s Broadcast nominated Premier League Tonight and the critically acclaimed European Football Show. Chris spent over 5 years at Sunset+Vine, becoming a highly-regarded producer delivering creative content for all of the UK's major broadcasters. He produced features and documentaries for BT Sport's Premier League and FA Cup coverage, and spent a year travelling extensively for a world sport programme. Before joining Noah In September 2016, Chris worked as a freelancer for an array of clients and on global events including the UEFA European Championships, the Olympic Games and the Paralympic Games. At the UEFA European Championships, Chris produced the official review documentary, focusing on the stories that emerged on and off the pitch. Andrew started working in television in 2009 at Sunset+Vine, for 7 years he worked across a variety of live and editorial sporting programmes, travelling the world as a self-shooting and editing Producer creating high end content for the IOC. In 2015, Andrew became the Producer of World Rugby TV, a rugby magazine show delivered weekly to a global audience. As a freelancer Andrew worked for an array of clients producing and directing creative content for the largest sporting federations and governing bodies including the ICC, UEFA, FIFA and the Olympics. Having worked on Bobby Robson: More Than A Manager, Andrew joined Noah full time in the summer of 2018 as Head of Distribution. 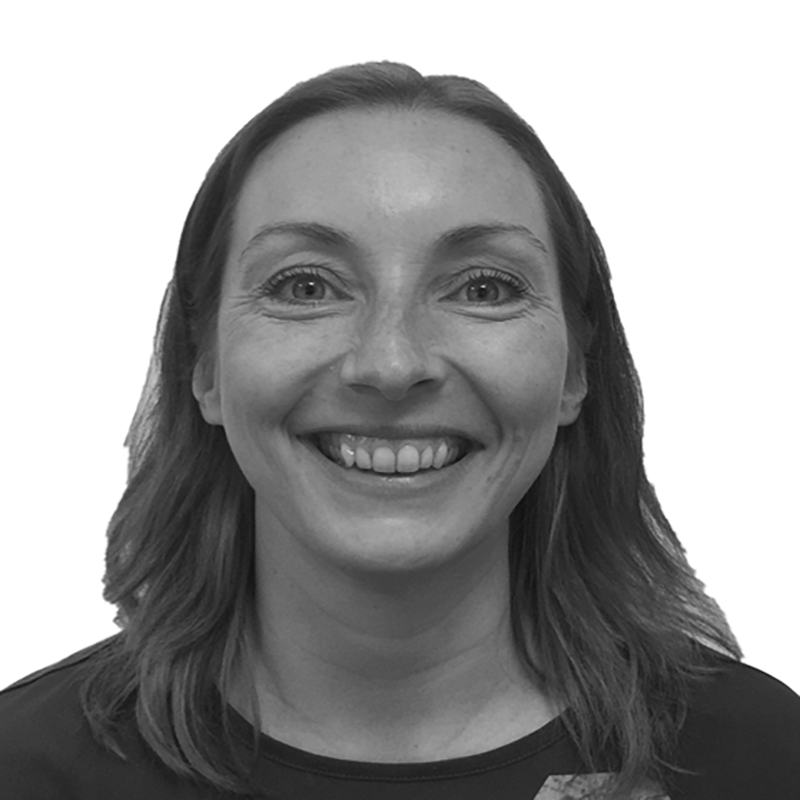 Sarah started at Sunset + Vine in 2010 as production secretary and quickly moved on to work on a variety of productions including the ESPN Aviva Premiership Rugby coverage, BBC Horse Racing and the Dubai World Cup coverage for Sky. Sarah quickly progressed to production manager, looking after the weekly NFL programme for Channel 4 and working on the set up and production management team for Channel 4’s Bafta winning coverage of the London 2012 Paralympic Games. From 2013 Sarah was part of the team working up to the launch of BT Sport, setting up and production managing Saturday morning studio show BT Sport Panel and UEFA Europa League coverage. In the second year at BT Sport Sarah started working on the Premier League team, production managing onsite studio show Fletch & Sav. In 2015 she became the production manager across the channel’s entire Premier League production, overseeing the running of the weekly programme as well as the introduction of BT Sport’s UHD coverage. In 2016 Sarah travelled to Rio for Channel 4s coverage of the Paralympic Games and to France for Euro 2016 where she worked with the Lille and Lens Host Broadcast crew. Most recently she was the onsite production manager for the Host Broadcaster operations at the London 2017 World Para Athletics and World Athletics Championships. Elaine started at Sky as a runner while at university, and quickly achieved a permanent job at Sky in programming, also freelancing at Classic FM operating the studios for many different programmes. Keen to work in production she moved to Sunset+Vine and rapidly rose to Senior Production Manager, managing a huge variety of programming, teams and writing bids for the company. Productions managed include launching the Premier League Rugby on ESPN, UEFA Europa League, BBC Scottish Cup, and the Paralympic World Cup among many others. Elaine moved to NBC Olympics, the world's largest Olympics rights holder to work as their Production Manager ahead of the London Olympics. With NBC Elaine led many shoots around the UK with international crews, including working on 16mm and 35mm film. Moving to work as Operations Manager at Timeline Television working in Ealing, and Queen Elizabeth Olympic Park for the build of the BT Sport studios and after launch. Recently freelance projects include Production Manager on a Tom Daley profile for NBC Olympics and UHD Football. Hugo is a very experienced designer and director who has been working with Noah and has played a key part in the development of Noah’s design team, working on Match of the Day, Premier League Show and was the design lead on the 2018 FIFA World Cup Russia™ title sequence. He played a key role in the original design of the sequence and overseeing the project's development across 12 months until delivery. Before joining Noah he worked as a freelancer for a number broadcasters. His work on the animated Newsround documentary, "The Left Behind Children", won an RTS award for Best Programme Content Sequence. Previous to that his work on the Newsround doc "Hiroshima" helped land a Broadcast Digital Awards and pick up two RTS finalist nominations. Beverley started her media career at leading advertising agency Saatchi & Saatchi as Senior Bookings Coordinator and quickly progressed onto a Post Producer role within the company working on major campaigns for The National Lottery, Sony and Proctor & Gamble. Bev joined Skaramoosh Design in 2004 as Facility Manager where she helped implement the set up for their new sister design company in Chiswick Park as part of Disney Channel’s inhouse post production facility. She moved into design production with the new team as their Graphics Producer working on producing promos, marketing packages, idents, bumpers and transmission graphics across all Disney’s channels and territories in the UK, Scandinavia and EMEA regions. After working for PR company Premier Entertainment running their design studio over the last five years Beverley now joins Noah as their newest recruit working with their hugely talented design team as their Graphics Post Producer helping to run a very busy and expanding graphics department. Claudia began her career at Sky Sports, where she developed a passion for creating innovative sports content working on their Darts and Snooker coverage. She joined Sunset+Vine in 2013 and began producing promos and features for BT Sport’s award winning Premiership and Champions Cup Rugby programming, developing into a highly-regarded creative producer. She spent two years travelling the world on behalf of clients such as ICC and Gillette World Sport, before joining Noah in July 2017. Paul began his career working on location for scripted television and film productions, notably for Avalon and Film4, until 2013 when he decided to pursue his passion of sport and joined Sunset+Vine in 2013. During that period Paul progressed from Researcher to Senior Assistant Producer working as part of BT Sports’ innovative Aviva Premiership and European Champions Cup coverage, working significantly on the live broadcast and developing into a highly thought of creative producer. Thom graduated in 2011 with BA Hons Modern Languages from the University of Birmingham, before moving into the footwear industry, working in Taiwan with major brands such as Dolce & Gabbana and Armani. In 2013 Thom decided to follow his passion and undertook an intensive filmmaking course at MET Film school, based at Ealing Studios in London. Finishing the course with distinction, he then moved into freelance production work for the likes of The Guardian, Vice and Pulse Films, before joining Noah in February 2016 as a production assistant and office manager. In late 2017 Thom progressed to an Assistant Producer role, producing content primarily for the Gfinity Elite Series and most recently forming part of the promos team based in Moscow for the 2018 FIFA World Cup. A creative at heart, Chris started writing and producing short films at an early age, at first starring only his action figures (a consequence of being an only child!) and later roping in friends on weekends and during school holidays. During his degree in Film Studies at the University of Portsmouth, Chris continued writing scripts and making short films, assisting a local production company on set and volunteering at an independent cinema in his spare time. Since graduating in 2015, Chris has worked at various media and production companies including Viacom UK (MTV), where he further developed his production experience and skills. Having joined Noah in January 2019, Chris is thrilled to be combining his two biggest passions: media production and sports. Since he joined Noah in 2017, Jayden has been an integral part of the Noah design team. Using his multifaceted design and animation skills, he has helped Noah with an array of large and small scale projects. Notably, he designed and animated the graphics package for the 2018 FIFA World Cup. Adam entered the creative industry in 2016 after graduating with a degree in Motion Graphics. He went on to spend two years at a London based creative agency, building up a vast portfolio of work for clients such as BBC, History Channel, Nat Geo, Netflix and many more. Now working amongst the hugely experienced and talented Graphics Department here at Noah, Adam is able to combine his love for football with his passion for art and design. 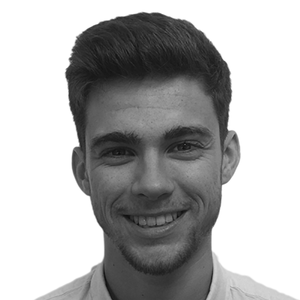 Robert joined Noah in the summer of 2017 having just completed a 3 year course at the University of Sussex, graduating from his BA in Media Practice with a 2.1 classification. There he acquired knowledge and gained skills in a wide array of creative fields ranging from sound, graphic design, photography and film, as well as studying film and media theory. Most notably, there Robert worked with fellow students to create two short documentaries, as well as a final year short film, Updating, which he received a 1st for. 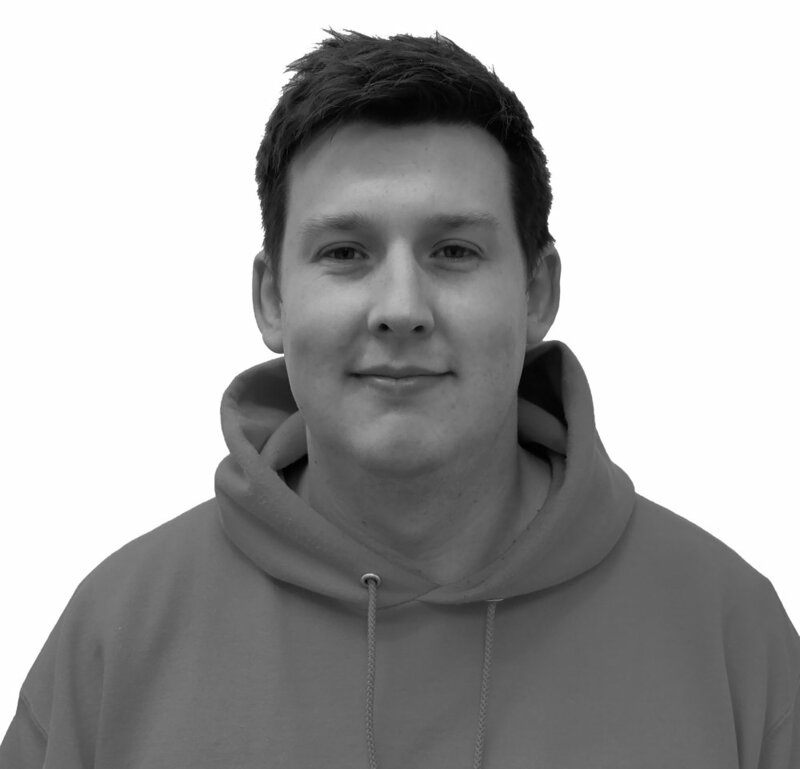 Robert has previously worked as a runner for post-production house The Mill, and undertaken work experience for various film, photography, PR and IT companies. Growing up in the sunny South of France, Robert has a cheery disposition as well as a hard working and determined mentality, having also spent long summer days cutting hedges and mowing lawn for luxury coastal properties, and long summer nights waiting tables at busy Mediterranean cafes and restaurants. Dan recently completed his Masters in Sports Broadcast Journalism and started working full-time at Noah Media Group after working as a freelance at the company for several months. Before this he did an internship with Eurosport in Paris where he worked on sports news for France 24 and produced content on the US Open. Before moving into Sports Media, Dan worked in Alumni Relations at the University of Bath where he helped organise events across the world as well as building and cultivating relationships with graduates globally. In his spare time, Dan likes to read, cook, sing and watch sport including football, rugby, cricket, NFL and baseball. Arguably the best moment of his life was when his beloved Leicester City won the Premier League in 2016. Chelsea graduated with BA Hons Film Studies from Kingston University in 2016 and continued to develop her skills as a filmmaker by completing their Film Making MA – an intensive programme going in depth into writing, sound mixing, camera work and editing. Chelsea’s passion and enthusiasm for all types of film led to her recently branching out into the world of Stop Motion Animation. In 2016, she made a short documentary, Breaking The Silence, raising awareness for mental health, the film was selected and screened at the British Film Institute as part of the ‘Family and the Film Maker’ event. After completing a masters in Sports Broadcast Journalism at Staffordshire University, Megan was selected for an internship with the production team at Eurosport in Paris. During this time she worked on the European Championships and the US Open as a producer. Megan also gained experience working in news as an English Commentator for France24. She now joins Noah Media to pursue her passion and follow a career in sports production. Graduating in 2017 from Royal Holloway University in Business Management, Ertrit had the business mindset and attitude for the real world. Having previous experience in administration working with a family owned accounting business, Ertrit thought the next best step would be in the luxury retail industry. By gaining a wealth of knowledge, Ertrit wanted to take this to a new platform. Now joining Noah Media Group in the Spring of 2018, Ertrit is keen to take on a new challenge and learn about a new industry becoming the Office Administrator, which is a vital role to keep everything moving at optimal efficiency. Barry Smith co-founded Skyscanner in early 2002. Since then the company has grown to be the largest independent travel search company in the world, with offices in Edinburgh, Singapore, Barcelona, Beijing, Budapest and Miami. It is currently valued at over £1billion, and employs over 700 people around the globe. Barry is also an active angel investor/adviser in a number of technology companies, mentors several tech startups and is on the Board of Trustees for the Entrepreneurial Charity - NEF. Barry’s experience and involvement in the technology sector will drive Noah’s digital arm, where our team plan to experiment and innovate with all filming projects using the very latest emerging technologies - including VR, which will become an ever increasing focus for Noah Media Group.